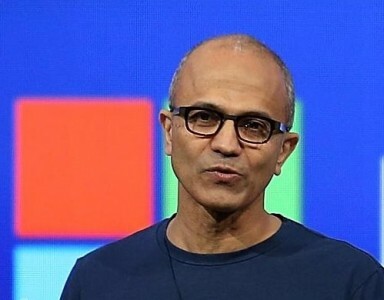 Quarterly earnings of Microsoft on Tuesday topped analyst expectations as it continues to shift from a traditional software seller to a provider of cloud-based services. Excluding certain items, the company reported revenues of $5.5 billion, or 69 cents per share, on adjusted revenue of $22.6 billion. The company was expected to report flat earnings per-share of around 58 cents, on revenue of around $22.1 billion. “This past year was pivotal in both our own transformation and in partnering with our customers who are navigating their own digital transformations,” CEO Satya Nadella said in a statement. The software maker has repeatedly downplayed its phone ambitions, even as its PC sales have slowed down, limiting its Windows PC business. Last week Microsoft confirmed that it will not look at achieving its prior goal of having a billion devices running Windows 10 by 2018. The company forecast yet another drop in device revenue for the current quarter. The company has rather been putting efforts into converting old-school software customers into subscribers of cloud computing products like Office 365. The company is also in the process of completing its mammoth $26.2 billion deal to buy business-oriented social network LinkedIn. Microsoft’s business unit revenue grew 5 percent to $7 billion, while the cloud unit saw sales grow by 7 percent to $6.7 billion. 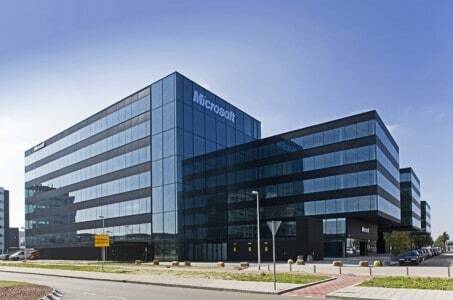 Sales in the unit that includes Windows software and hardware fell 4 percent to $8.9 billion. The company’s revenue from licensing patents dipped in the quarter. Microsoft said it will focus on its cloud business as it sees further benefits from the vertical in the coming year.